The rules might finally be relaxing. Renting a pet-friendly property might now be a tiny bit easier. Finding a pet-friendly rental property for you and your furry friends might just have become a tiny bit easier with the launch of a new service putting your pets in the best light for potential future landlords. Rental property website Rent.com.au has launched Pet Resume, an extension of its Renter Resume website feature, that allows renters to profile their pets' best qualities, vaccination, registration and training status in the hopes of receiving a successful rental application from landlords. Greg Bader, Chief Executive Officer of Rent.com.au, said: "Introducing a Pet Resume to a prospective landlord, combined with a Renter Resume, can build a real case for responsible pet ownership." "It's a proactive move that shows a tenant's honest and open approach to taking responsibility for their pets." But not all is as bright as it seems in the renting world. According to a survey of 1,300 Australian renters released by Rent.com.au, almost half found it 'extremely difficult' to find pet-friendly rental properties and only a quarter of all listings on their website specified that pets were allowed, despite two-thirds of Australian households owning pets. "We are striving to bridge the gap between the overwhelming demand for pet-friendly rentals on one hand and the limited supply on another," Bader said. "When we surveyed over 700 property agents and landlords, around 80 per cent said they would consider pets if they were presented with all the information required. This is how the idea of Pet Resume was born." With regulations around pets in rental properties varying from state to state in Australia, the idea of relaxing the rules for potential renters isn't a new one. In fact, it's heavily been debated between renters and invested for quite a while. Doctor Emma Power, a senior research fellow and lecturer specialising in housing, human and animal relations at Western Sydney University, told the Huffington Post Australia that it would take a national cultural shift to change the attitudes currently seen towards renting. "I think that the rules around rental properties prioritise the landlord's investment value rather than the right of tenants to make a home," she said. "Absolutely there is a need to change those policies and those practices because more and more people are going to be renting long term. There is a declining rate of home ownership among young people in this country." According to Power, this higher level of emphasis placed on investor rights is an issue experienced by the majority of potential renters and is taking away from community engagement. 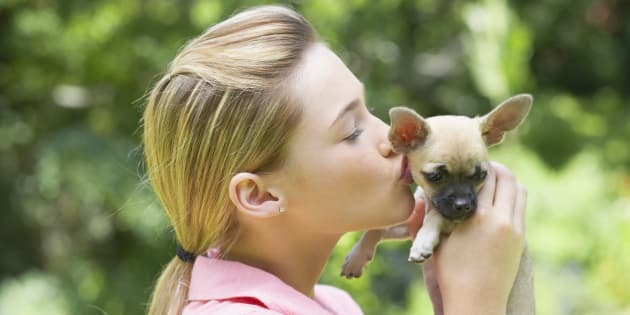 "For people who have pets, there is a lot of research that shows they're happier and more engaged in their communities. It's something that can bring good to a community as a whole," she said. "By having a pet friendly property, you're not permitting all pets into your property, there are ways you can protect your investment... If you simply ban all pets, there's nothing saying someone won't move in and have a pet secretly."